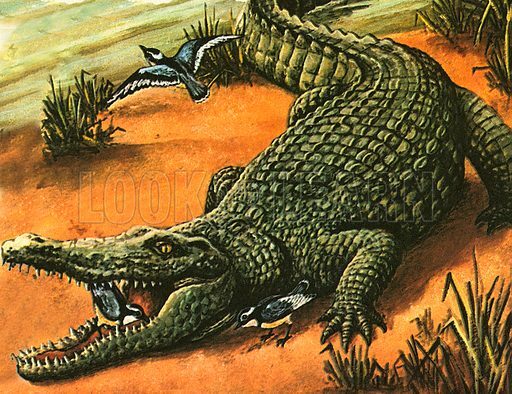 The picture shows a great partnership between a bird called the Egyptian Plover and the Nile Crocodile. The Egyptian Plover is sometimes called the Crocodile Bird because its food is the parasites that grow on the crocodile, even between its teeth!. Available worldwide for immediate download up to 4,563 x 3,507 pixels.